New flow visualizations using data from weather radar networks depict nocturnal bird migrations, according to a study published August 24, 2016 in the open-access journal PLOS ONE by Judy Shamoun-Baranes from University of Amsterdam, the Netherlands, and colleagues. Globally, billions of flying animals migrate seasonally, and most migrating birds and bats as well as many aerial arthropods do so under the cover of darkness, making them difficult to observe. Traditional approaches to highlight details of animal migration have been limited by their static nature, often focusing on one dimension of information at a time. To capture the dynamic aspects of animal movement, Shamoun-Baranes and an interdisciplinary team of ecologists, meteorologists, computer scientists, and graphic designers developed two open-source, web-based visualizations of mass bird migrations using data from weather radar networks in parts of Europe and North America. The new visualizations showed the timing, direction and speed of bird migrations at scales that have previously been impossible to achieve. In addition to being more multi-dimensional, these data representations were also easier to interpret and faster to review than previous methods allowed. 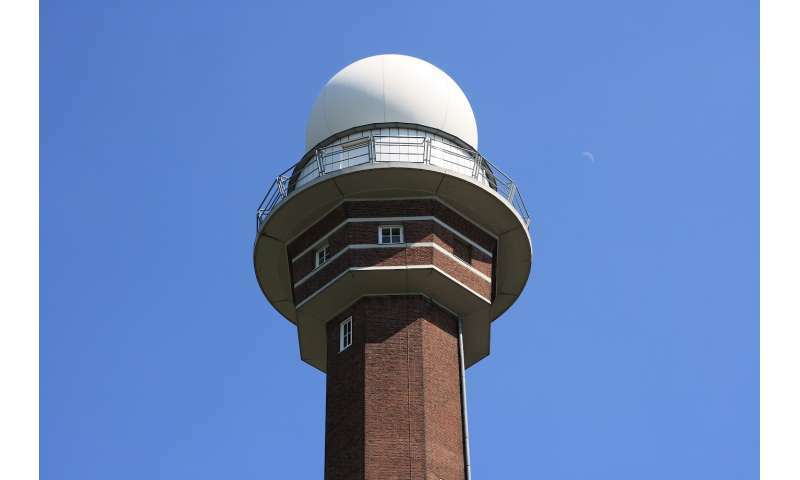 While a systematic long-term archive of weather radar data is not yet available for Europe at the continental scale, NOAA radar data are available freely as they are produced in the continental US and have been archived since 1991. The authors hope that their tools will allow use of these data to depict the flow of animal movement, spatially and temporally, for use in scientific research, conservation and risk mitigation, or general inspiration. "Billions of birds globally migrate every year under the cover of darkness," said Judy Shamoun-Baranes. "Bringing together diverse expertise in ornithology, computer science, and visualization, we've designed new ways to make invisible migration visible."